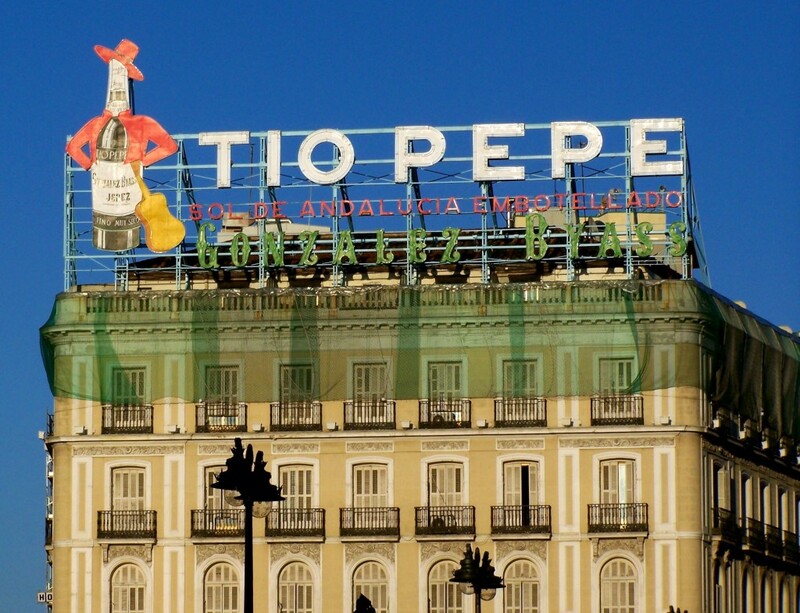 One of the first sights after emerging from the Madrid Metro into the heart of the city is the Tio Pepe sign in Puerta del Sol. Perched atop the city’s City Hall, the famous sign has stood since 1936. Sadly, this past summer the historic sign was taken down to make way for a new Apple store in Madrid. I’m so glad I was able to spend time in one of my favorite cities (and one I would be happy to call “home“) in the world and was able to see the larger-than-life Tio Pepe before it was removed. What a shame it was taken down! I know. I loved that sign! Mauricio Gonzalez Gordon, president of the bodega is confident the sign will be back in the square next year, albeit on a different building, and it is being restored in readiness. That is GREAT to know. I love that sign!